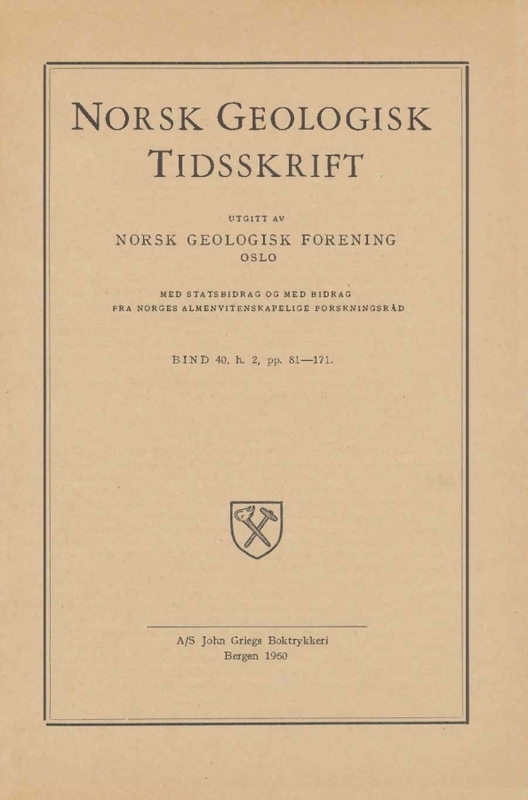 Contributions to the mineralogy of Norway. No. 6. On the chemical composition of Blomstrandine and euxenite. Complete analyses of two samples of blomstrandine and two samples of euxenite were carried out by chemical methods and by emission and fluorescent x-ray spectroscopy. Pure mineral samples were prepared by repeated treatment with heavy liquids and by magnetic separation. The major constituents were determined by chemical methods; niobium, tantalum, and titanium being separated and determined by precipitation with the organic reagent N-benzoyl-N-phenylhydroxylamine. Minor and trace elements were determined by emission spectroscopy and rare earths by fluorescent x-ray spectroscopy.